I've wanted to try Marc Jacobs eye shadows for the longest time and the the shades in this palette are so me! Even though I'm not even wearing a lot of eyeshadow at the moment, I still want to try this formula to see if the hype is real. I haven't really been getting excited when it comes to eyeshadow lately, and I think that this palette could turn that all around! 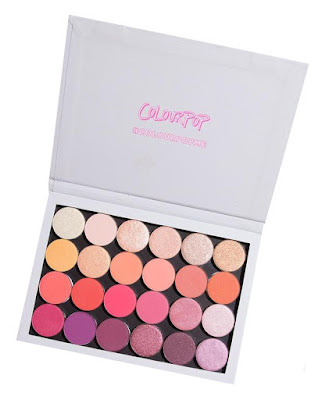 I'm dying to finally try these Colourpop Pressed Powder Shadows because I've heard such amazing things! You can get an empty palette ($10), which fits 24 Pressed Powder Shadow pans ($4 each). I think $106 USD for 24 shades you get to pick yourself is an absolute steal! Of course, you don't need to buy them all at once either. I really want to try the formula with maybe 8 shades and then, if they are as amazing as I've heard, fill up the large palette over time. I have been using a Beauty Blender for ages to apply all my base products but I think I might want to transition back to using a brush, at least for some of my foundations. As much as I like my Zoeva buffer brush, I still find it takes a little while to blend in foundation and leaves a few streaks. When a friend did my makeup at Mecca, she used this brush and I fell in love! It applies and blends foundation like a dream and it has been a solid contender for the top of my wishlist. 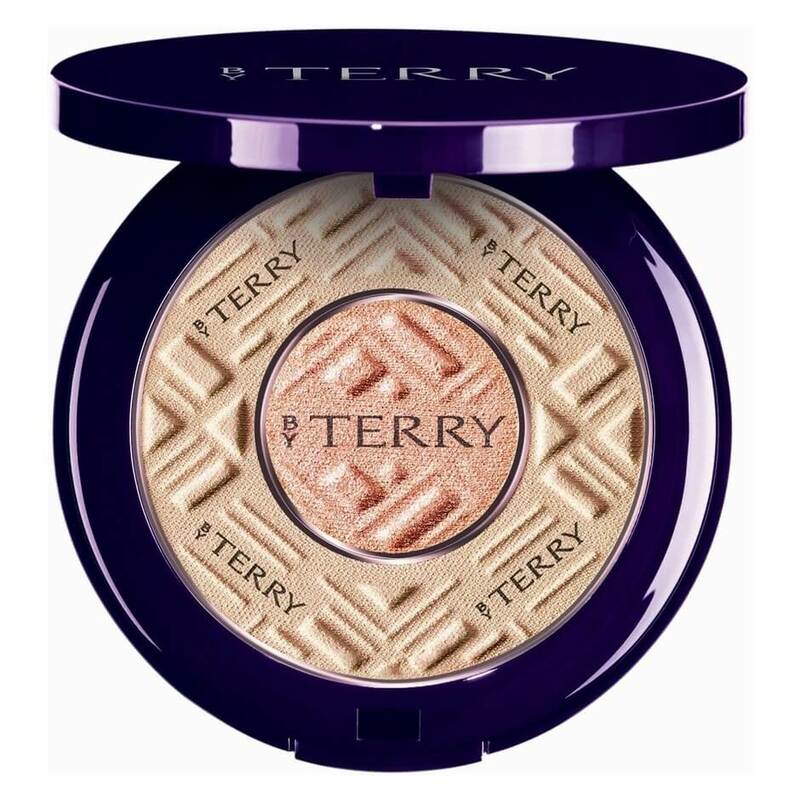 I am absolutely obsessed with Lydia Elise Millen's channel and she absolutely raves about By Terry and this powder in particular. As someone with dry skin, I really don't like powder as a general rule. However, this one is meant to sit perfectly on this skin and even has a luminous highlighting centre that you can use alone or swirl in with your powder for a more luminous look. I've only tried the Baume de Rose so far, but I am very keen to try more from By Terry despite this hefty price tag. I smelled this in passing in Myer simply because they hard cute little spin pop swatch cards and I absolutely fell in love! My friend and I just stood at the stand sniffing and marvelling at how amazing it smelled. 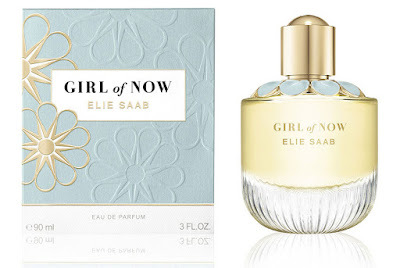 I wasn't the biggest fan of the original Elie Saab fragrance but I love this one! It has top notes of orange, pear and pistachio; mid notes of orange blossom, magnolia and almond; and base notes of patchouli, cashmeran, tonka bean and almond milk. It is a beautiful nutty, fruity scent that still manages to smell light, fresh and sophisticated. I think the branding is quite on point too because it feels very current and on-trend. Plus, the bottle is absolutely beautiful! In a dream world, this would be sitting underneath the Christmas tree for me! 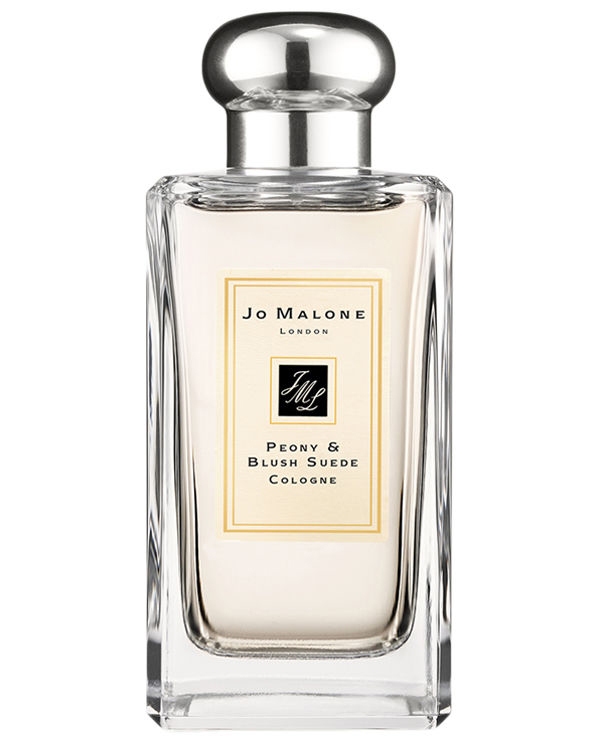 I had heard Amie of Chase Amie talk about how this her all time favourite everyday perfume for ages so when I was shopping with a friend, we stopped by the Jo Malone counter for a sticky-beak. We both fell head over heels with their fragrances and this one was a clear winner for me! Peonies are my favourite flowers and I absolutely love how this fragrance is understated but absolutely gorgeous and sophisticated! I have been eyeing this watch off literally for years! I have almost bought it a dozen times but withheld because I currently don't really wear a watch. I don't even own one and I just rely on my phone. 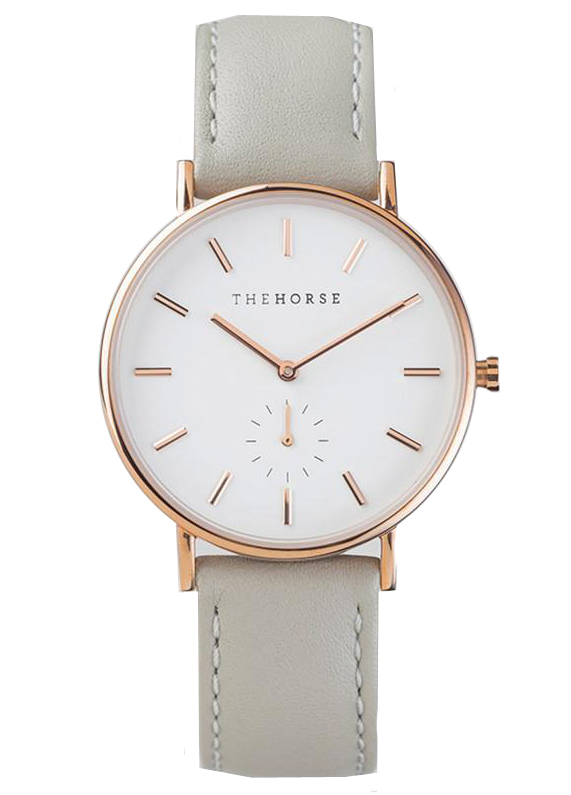 I think I want to change that though because a nice, classic watch like this one is such a beautiful accessory and it would be far more convenient to just wear a watch. I probably won't receive this one and that means I might just buy it for myself next year, especially since I noticed that The Horse does AfterPay! My gift guides have been full of pieces from the Daily Edited, but I just love their entire aesthetic! 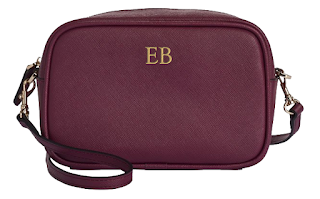 I have been lusting after this burgundy cross body for ages and I think that since Autumn and Winter are fast approaching, I need it in my life. Hopefully I receive it for Christmas, but if not I think I'm going to have to treat myself because it is so beautiful and I don't currently have anything in this burgundy/oxblood colour. 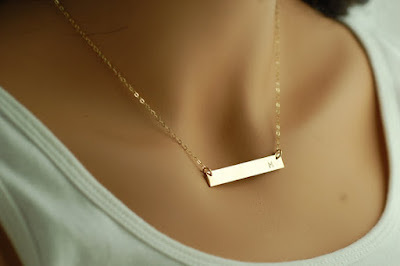 I've wanted one of these customisable gold bar necklaces for ages and it seems like Etsy is the place to get them. I think they would be such an amazing gift because you could get any message you like engraved to make it so much more personal. I think that this bar style just looks so classic and I really need a new necklace since I don't currently have any at all in real gold. 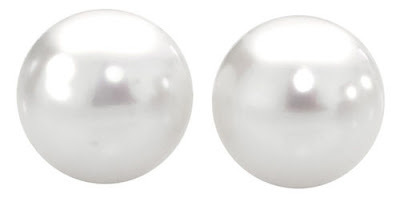 Pearl and gold studs are my go to and I don't currently have any that aren't costume jewelry. I used to have a pair just like this years ago, and I wore them everyday until they broke. 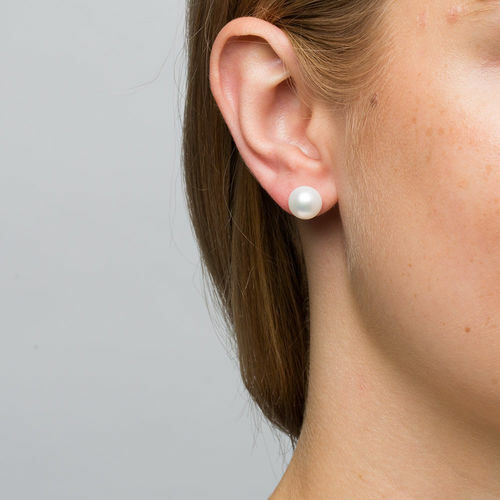 I just love a classic pearl stud earring and I don't think there is a single outfit I wear that they wouldn't go with. I would love to have a pair of real pearl earrings again because I would wear them every single day! So there you have my top 10 picks from my never-ending wishlist! Of course, considering all these beautiful goodies total over $1300, there is no way in hell I'm getting all of them for Christmas this year. However, maybe I will be a lucky girl and receive a couple of them. I can also use this post next year to come back to when I want to treat myself to a little something. I'd love to know what is at the top of your wish list right now, and if you have added anything from mine to your own! Also, don't forget to check out the rest of my #Blogmas posts and keep your eyes peeled more more. 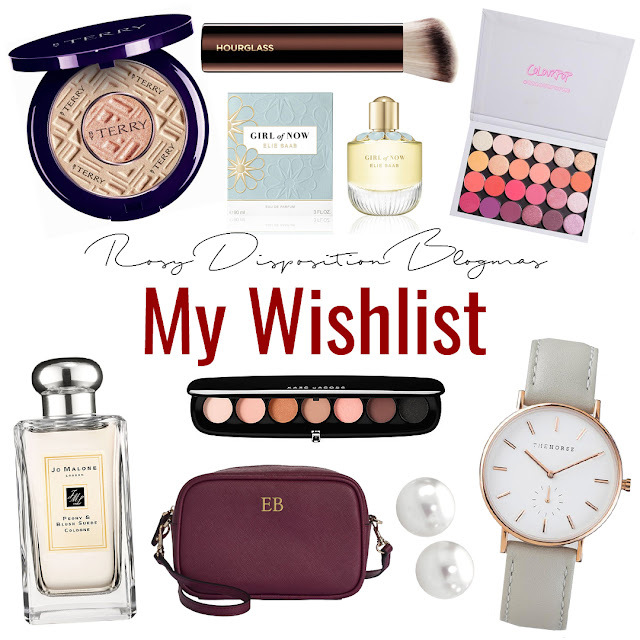 6 comments on "#Blogmas Day 5: My Wishlist"
Oh Ems, what a great wishlist! We share several items...I want something from TDE myself...I also want to try The Horse as I can't live without a watch haha, I'm one of those crazy people who wears it even in the shower! And I love the Colourpop shadows....both the original Super Shock plus I have several palettes with the pressed ones. I was going to comment on a couple of things, but let's be real haha I want one of all of these please! I have some Hourglass on my wish list too! I also want that brush. You have some amazing products in your wishlist. I agree with everything mentioned about the By Terry Compact Expert Dual Powder, I have been using this since last month and I am obsessed with it.